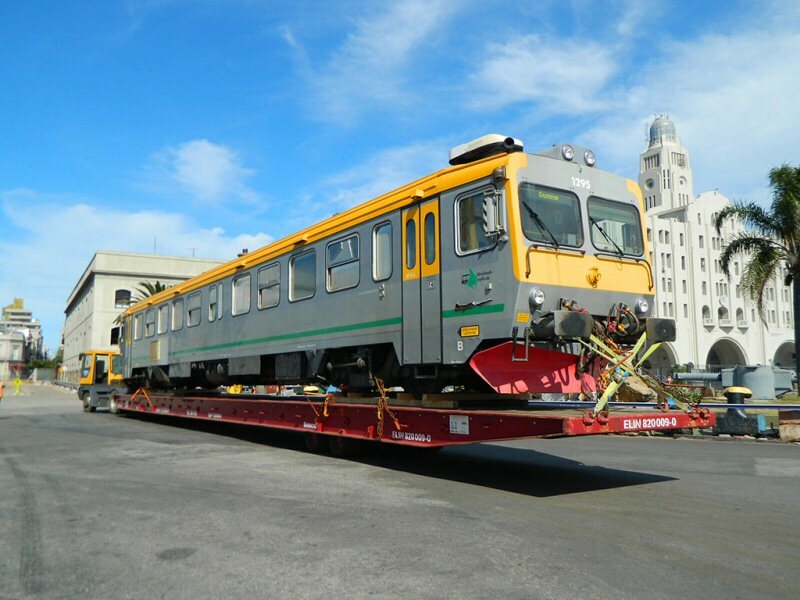 URUGUAY: Seven Fiat Y1 diesel railcars originally built for SJ of Sweden were unloaded at the port of Montevideo on April 15. National operator AFE has purchased the vehicles from rolling stock leasing and maintenance company NetRail. With one vehicle to be used to provide spare parts, AFE is to deploy the Y1 railcars to increase capacity on commuter services between Montevideo and 25 de Agosto. The national operator has also studied restoring passenger services between Montevideo and Sudriers, where eight trains operated with two railcars would carry 900 passengers a day, according to AFE forecasts. Built in 1979-81, the Y1 railcars were latterly deployed on Värmlandstrafik regional services around Karlstad in Sweden.